During the 18th and early 19th centuries, Russian silver designs were dominated by Western styles. By the 1840s however, a revival of traditional forms and design motifs flourished in Moscow and became fashionable among Russia’s wealthy aristocratic community and industrialist families. This renewed enthusiasm for Byzantine and traditional styles in Russian decorative art was prompted by a six volume catalogue examining ‘Antiquities of the Russian State’, written between 1849 and 1853 by Fedor Solntsev (1801-1892), a young graduate from the Academy of Arts in St Petersburg. 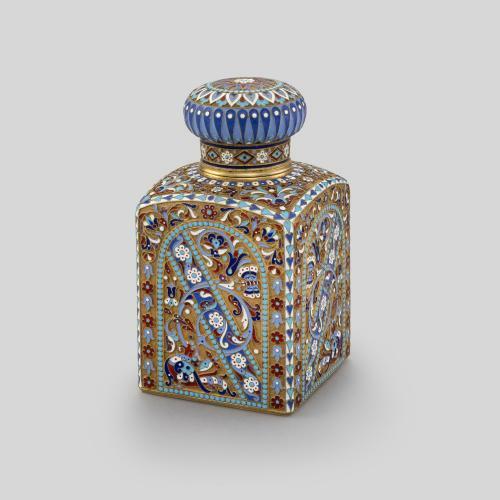 Russian silversmiths, and the workmasters they employed, began specialising in enamelling techniques and decoration which derived from Medieval Russian ornament. Combined with the modern styles such as Art Nouveau, a new sense of pride was instilled in traditional Russian craftsmanship. The firm of Antip Ivanovich Kuzmichev was a small silversmith cooperative renowned for cloisonné enamel work in the Art Nouveau style. 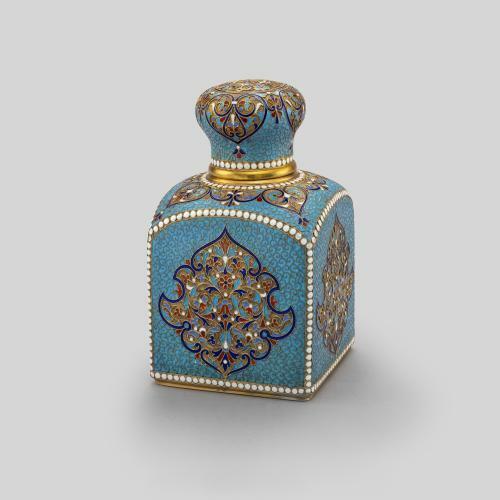 The Kuzmichev firm was contracted by Tiffany and Co. to provide Russian-style silver and enamel for the Tiffany’s Russian department in its Herald Street (New York) store, which opened around 1885. 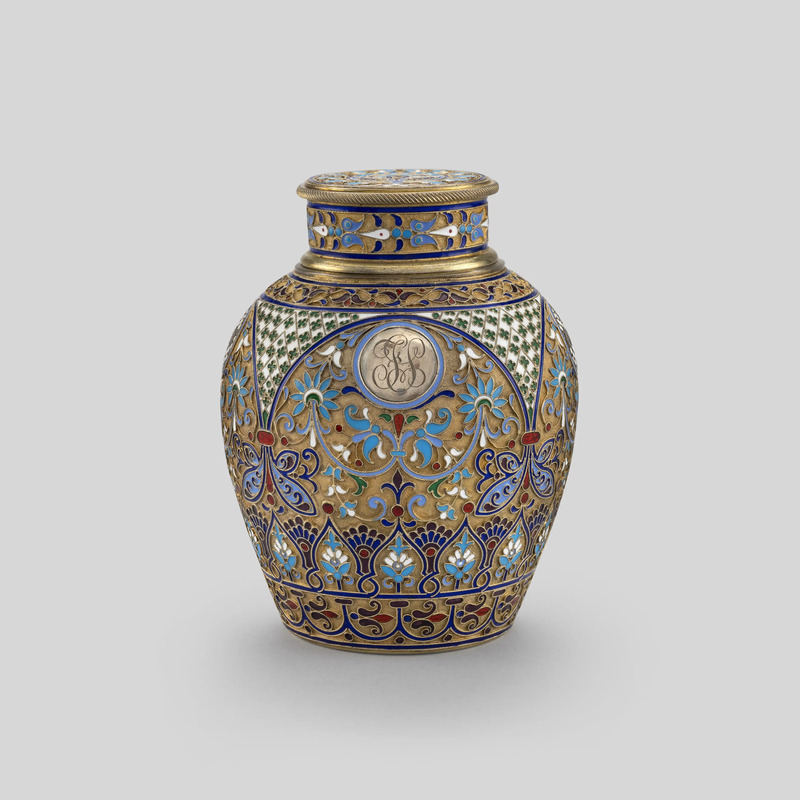 This caddy is decorated in a Russian Art Nouveau motif and stamped ‘Made for Tiffany and Company’ on the base.